Hallstar is a market leader in producing specialty plasticizers for rubber/elastomers. We strive to stay ahead of market trends and new polymer launches with our knowledgeable synthesis and application labs. By working closely with our customers as well as polymer producers, Hallstar is able to provide solutions that not only solve a problem, but help provide tools for next generation products. Hallstar esters provide improvement for a range of parameters including: low temperature flexibility, volatility resistance, extraction and migration resistance. Products are available in both liquid as well as dry liquid concentrate form for easier handling and improved dispersion. We strive to stay ahead of market trends and new polymer launches. Nitrile elastomers (NBR) result from reactions of butadiene and acrylonitrile (ACN) monomers. ACN content ranges from a high of about 50 percent to a low of about 18 percent. Available grades have approximately 50, 40, 30 and 20 percent ACN. The NBR blends well with many other polymers such as PVC, SBR and polychloroprene (CR). Oil and fuel resistance are the primary reasons for using NBR, but another important property is its abrasion resistance. Normal service temperatures are -40°C to 125°C, but special compounding can broaden this range to -55°C to 150°C for intermittent service. The elastomer requires antioxidants, anti-ozonants, fungicides, plasticizers, tackifiers and flame-retardants as the occasion and severity of the application demands. It can be cured with sulfur or peroxide systems. High ACN polymers require high polarity plasticizers, low ACN polymers require low polarity plasticizers. Polymerics used at greater than 15 PPHR are generally used in combinations with monomerics. Hallstar has a wide range of monomeric and polymeric plasticizers that can be used with NBR. 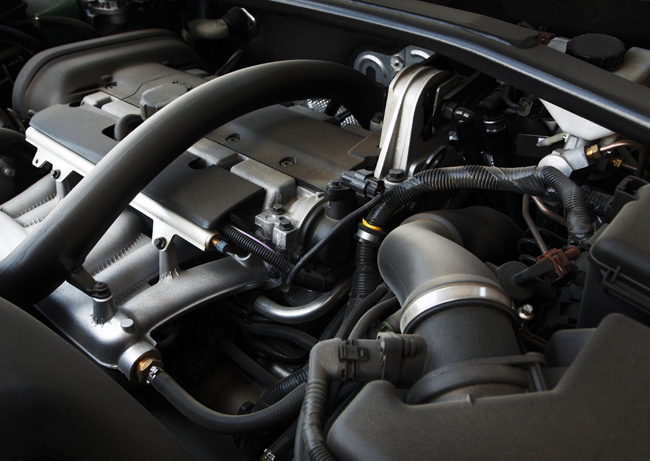 Products which require resistance to oil and fuel: O-rings, gaskets, seals, fuel lines and hoses (covers and tubes), bladders, diaphragms, shoes and boots, print rolls and blankets, oil well parts, fuel cell liners, packings, kitchen mats, conveyor belts and rollers, wire and cable jackets and insulation, grommets, shaft seals, pump liners, waterproofing, adhesives. Plasthall® 7050 – Fuel B resistance, LT, HT, oil resistance, limited use with low ACN. Poor water resistance. Plasthall® 83SS – Fuel C resistance, LT, HT. Plasthall® 4141 – Good unaged and heat aged LT, #3 oil resistance, FDA Regulation 177.2600. Good for low ACN Plasthall® 7006 – Comparable to TP-90B, especially good LT in peroxide cured NBR. Plasthall® P-670 – If compatible good LT and water resistance, most efficient polymeric, ease of handling. Plasthall® P-7046 – HT and oil resistance, hydrocarbon solvent resistance, often used in roll compounds. Plasthall® P-7092 – HT and oil resistance, hydrocarbon solvent resistance. Paraplex® G-40 – HT and oil resistance, oil seals. TegMeR 804S® – Good overall, used in hydraulic hose. Acrylic elastomers, some of which were once identified as polyacrylate elastomer (AEM/ACM), are used for applications requiring 300 – 350 °F continuous service with intermittent exposure to 400°F. Acrylic elastomers have a saturated backbone with pendant groups attached through a carbonyl of such as ethyl, butyl ethylene, oxyethyl, and have a variety of cure site monomers. Curing occurs through a reactive halogen, epoxy, or carboxyl that is part of a pendant group. No cure systems are universal to all of the reactive groups. Many acrylics require a (oven) post cure at 300 to 325°F, especially if low compression set is a requirement. Most of the acrylics require a plasticizer to achieve low temperature performance. Many monomerics are too volatile to be of value because of the post cure requirement. Low temperature performance can be best achieved with polymerics as well as TP-759® and TegMeR® 812. Polychloroprene (CR) is created through the conversion of unsaturated linear C4 compound to 2-chloro-1, 3-butadiene. Polymerization of chloroprene to polychloroprene today is primarily by free radical emulsion. Important polychloroprene elastomer variables are crystallization rate, mercaptan modifications, sulfur modifications and pre-crosslinked versions. The end use helps direct which of those four variables are best suited to the particular application. Polychloroprene provides limited oil resistance, reasonable weather resistance, good resilience, broad chemical resistance and some flame resistance. Chlorinated polyethylene elastomers (CPE) are produced from high density polyethylene (HDPE) that is randomly chlorinated in an aqueous slurry. Polymers are differentiated by chlorine content, molecular weight and crystallinity. Chlorine contents generally range from 25 to 42 percent. Advantages of using CPE include good resistance to ozone, oxidation, abrasion and flex cracking. The CPE also has good resistance to alcohols, alkalis and acids. Limitations for CPE include moderate resistance to aromatic oxygenated solvents. Because of its unsaturation, CPE is usually peroxide-cured and some plasticizers may affect cure rate and degree of cure. Plasticizers containing double bonds (oleates and tallates) can rob curative effectiveness, as can naphthenic oils. Generally, polymeric plasticizers do not provide significant performance advantages over monomerics and are seldom used. Hydrogenated nitrile butadiene rubber (HNBR) is produced by hydrogenating the double bonds of the butadiene component of nitrile butadiene rubber (NBR). This reduces the number of double bonds, which causes the backbone of the polymer to become linear hydrocarbon chains with pendant nitrile groups. Epichlorohydrin polymers possess a combination of many of the desirable properties of neoprene and nitrile. A potential drawback to epichlorohydrin polymer is its lack of resistance to oxygenated solvents, steam and acid. The mode of failure is reversion (devulcanization). Advantages to epichlorohydrin polymers include good resistance to ozone and oxidation. Unlike the copolymer, the terpolymer can be readily blended with SBR and nitrile, and can be sulfur-cured. The ethylene propylene diene monomer (EPDM) elastomer contains ethylene, propylene and a third monomer to provide unsaturation in the polymer chain, allowing for conventional vulcanization. The ethylene content gives plastic properties and increased green strength. The propylene level gives a greater degree of flexibility to the polymer. The third monomer controls the degree of vulcanization. The higher the level of the third monomer, the faster the cure. The saturated backbone of EPDM gives it excellent resistance to ozone, oxidation and heat as well as good resistance to alkalis, acids and oxygenated solvents. The EPDM group has the lowest specific gravity of all the commercial elastomers and is easily extruded, molded and calendered. EPDM can be compounded to have excellent electrical properties and strong resistance to moisture and steam. EPDM can also be highly extended with fillers and high polarity plasticizers, which results in lower costs. Fluorocarbon elastomers are copolymers of vinylidine fluoride and hexafluoropropylene. They are manufactured by water emulsion polymerization using potassium persulfate initiation. The approximate end composition is 80 Mole percent vinylidine fluoride and 20 Mole percent hexafluoropropylene. The vulcanization of fluoroelastomers is believed to be initiated by basic materials, preferably metallic oxides such as magnesia (Maglite® ), which promote the elimination of hydrogen fluoride at relatively low temperatures. The resulting unsaturation provides sites for the initial vulcanization with difunctional amines, bisphenols and Peroxides. Optimal physical properties develop during an oven post cure. During this secondary cure, the magnesium oxide promotes further unsaturation believed to culminate in an extremely stable cross-linked compound. Fluoroelastomers have outstanding resistance to a wide variety of oils, fuels, acids and solvents at elevated temperatures and heat resistance nearly comparable to silicone. Fluoroelastomers also have a resistance to hot oil that exceeds acrylic and weathering properties superior to those of polychloroprene. There are some limitations to this class of products, which include price, poor resistance to tear and cut growth, poor resistance to oxygenated solvents and fair adhesion to fabrics and metals. While flouroelastomers (FKM) typically do not use plasticizers, FKM compounds almost always require some combination of Maglite® magnesium oxide (D-SSF, D-RX, K or Y depending on the required cure rate) or calcium oxide/hydroxide. Nearly 2,000 species of trees, shrubs or vines of the tropical and temperate regions produce latex from which natural rubber or a closely related substance can be obtained. However, the latex from the trees of Hevea brasiliensis, indigenous to the Amazon Valley, is the only important commercial source of natural rubber. Natural rubber is usually considered to have good processing properties. Although it is tough and “nervy” at temperatures well below 100°C, it breaks down easily to a useable plasticity. Generally, it can be adapted to any fabrication technique of the rubber factory. The viscosity-stabilized grades of natural rubber do not generally require premastication before the incorporation of fillers and other compounding ingredients. For the non-stabilized grades, a short mastication time before compounding is a common practice. Natural rubber vulcanizates have excellent tensile strength properties. Natural rubber has excellent abrasion and skid resistance. At large strains, the fatigue of natural rubber is superior to that of SBR, and the reverse is true for small strains. Good resistance to flexing and fatigue, together with high resilience, makes natural rubber useful in applications where cyclic stressing is involved. The use of natural rubber in radial tires and other types of tires accounts for the largest share of natural rubber. Mechanical goods include hoses, conveyor belts, gaskets, seals, rubber and rubberized fabrics. The dynamic properties of natural rubber are used in springs, bushings and anti-vibration mountings. Natural rubber, like most common rubber elastomers, uses the full complement of rubber additives. Styrene-butadiene rubber (SBR) is polymerized by two basic methods, emulsion and solution. SBR usually contains 29 percent styrene randomly dispersed with butadiene in the polymer chains. The emulsion and solution grades have basically the same ratios of styrene and butadiene. The emulsion SBR polymers were first synthesized and used in tires as a substitute for natural rubber. Initially, the solution SBR was not suitable for tires, but in recent years, this has changed with new processing technology. Styrene-butadiene emulsion elastomers can be made by both a cold and hot process. Although cold SBR is often preferable to hot for optimum physical properties, use of hot SBR types can contribute to both processing and product improvements. SBR has a good combination of abrasion, tear and crack-growth resistance. SBR is easier to process than natural rubber, and was designed to replace natural rubber due to its glass transition temperature. The Tg of SBR closely coincides with natural rubber, making it an excellent replacement or partial replacement of natural rubber in tires. All types of SBR use the same basic compounding ingredients as other unsaturated hydrocarbon polymers. They need sulfur, accelerators, antioxidants, antiozonants, activators, fillers and softeners or extenders. Zinc oxide plus stearic acid is the most common activator system for SBR. Ester plasticizers used in SBR are for special purposes including low temperature performance or specific fluid extraction characteristics.